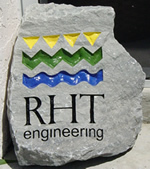 RHT Engineering, Inc. was founded in 2004 by Richard H. Thompson, P.E. Located in Lee County, RHT Engineering is a land development engineering firm offering residential, commercial and agricultural site design, government permitting assistance, comprehensive stormwater management design and other land development services for SW FLorida. Richard H. Thompson, utilizes his training and experience as a former South Florida Water Management Regulatory Supervising Engineer for Lee, Collier, Hendry, Glades and Charlotte counties and as a private development engineer to effectively assist and solve problems for his clients. RHT Engineering utilizes the latest in technology, a skilled staff and a wide network of professional resources to offer clients efficient, high quality and personalized engineering services. RHT Engineering works hard to maintain its overhead so it can offer professional engineering services at reasonable prices. RHT Engineering is a member of the National Society of Prefessional Engineers and the Florida Engineering Society.